This is my main camera. 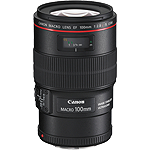 It has very high ISO performance, full-frame at 21.1 Megapixel. It is also an excellent professional HD video camera. 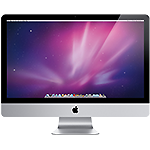 New advanced features has been added with the latest Magic Lantern software installed. My 35mm still film camera, for those special occasions when uncompromising, top-notch image quality is needed. 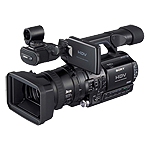 An excellent HDV camera for event or news videography. 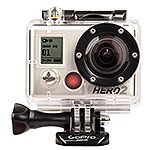 The most size-efficient HD camera that can be mounted on almost anything, from bike helmets to surfboards. It’s a great camera for unconventional cinematography. With the 2-camera side-by-side setup, I have successfully shot 3D footage. 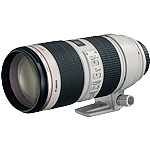 This is a high-quality, all-purpose standard zoom lens. This lens is a perfect ultra-wide lens for landscape photography. 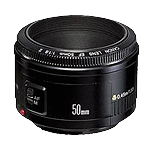 This is a good all-round lens, with a very wide aperture, great for low-light situations. 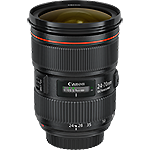 I use this lens for event photography. All of my extreme close-up shots are accomplished with this super-sharp lens. 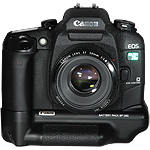 Canon’s top-of-the-line flash gun for the EOS-system, equipped with infrared transceiver and is PocketWizard-friendly. 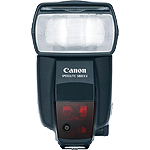 A camera-mounted infrared wireless controller for Canon’s Speedlite flashes. 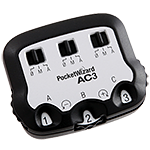 Its dedicated transmitter controls up to 3 Speedlite slave units. 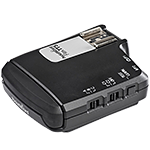 This transceiver is part of an ultra-versatile radio slave system, and is dedicated specifically to the Canon E-TTL II flash control system. It simply slides directly into the camera’s or flash gun’s hot shoe. 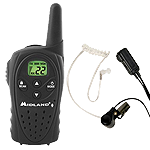 Since this system works on digital radio technology, it can support E-TTL operation around corners, out-of-sight, or in bright sunlight. 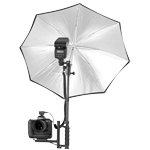 It is perfect for setting up a 3-point lighting without any inter-connecting cables. 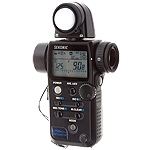 This device goes on top of a camera-mount FlexTT5 Transceiver to instantly control the flash guns from the camera position; no need to run to individual flash gun to adjust their intensity. 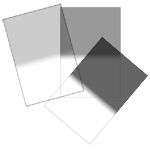 Three dials let the user increase or decrease power to three zones of flash guns in 1/3-stop increments–with a range of up to six stops. 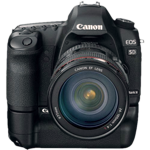 A must-have for event photography and taking portraits. Easy to use and quick to deploy. 160-LED light with diffuser, interchangeable color temperature and variable intensity. 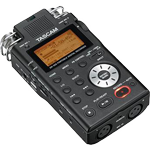 This recorder is excellent for field sound recording. It has four built-in electret condenser mics (two cardioid and two omni) as well as a pair of XLR mic ins with phantom power for adding pro condenser microphones. A supercardioid, electret condenser-type microphone, which delivers outstanding sound performance in all field production and broadcast studio applications. 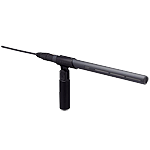 It is highly directional, allowing for clear voice pick-up, while the built-in low-cut filter helps to reduce unwanted pop and wind noise encountered in the field. This microphone has XLR male interface. 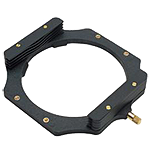 This system is intended for portable wireless sound operation, such as video and field recording applications. A perfect example will be interviews in noisy environments. 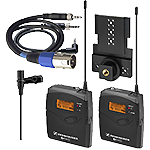 This system includes a camera mountable receiver, bodypack transmitter and ME2 lavalier microphone. 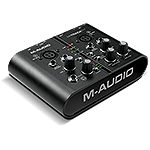 The M-Track Plus from M-Audio is a versatile USB audio interface that accommodates any input, from an electric guitar to a professional condenser mic requiring phantom power. MIDI and coaxial S/PDIF connections are also provided. Ideal for on-the-go recording engineer. 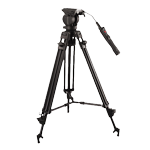 This tripod has two-way head and features ball-levelling. The handle has a four-function LANC video remote for Sony camcorders, with under-hand grip, controlling zoom in/out, record start/stop, photo mode on/off. 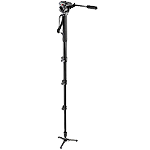 The Manfrotto 561BHDV is a compact but incredibly high 4-section aluminum fluid monopod. It is equipped with a fluid head including a long sliding plate. The ergonomic pan-bar allows smooth panning and tilting movements. This Steadicam lets the operator “fly” the camera up and down steps, indoors and outside, through crowds… almost anywhere, with precise, elegant control and ease. It absorbs any jerks, bumps, and shakes from the walking. 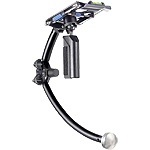 The Merlin Arm and Vest allows the Merlin camera stabilizing system to be used effortlessly. 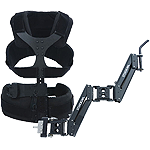 The Merlin Arm and Vest provides complete comfort and enormous vertical lifting range for extended productions and long continuous shots. 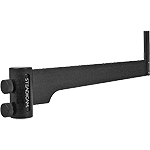 Balanced Merlin can be attached to a light stand or tripod with this bracket. 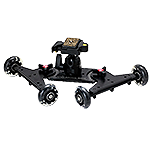 With any smooth surface, the Komodo Video Dolly can be adjusted to provide popular Side-to-Side Tracking Shots, Cinematic Push / Pull Dolly Shots, or adjust the axles for unique and truly amazing 360 degree rotating shots. 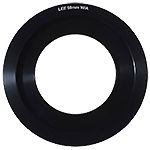 The Lee Filters holder system is primarily designed to take standard 100mm filters. 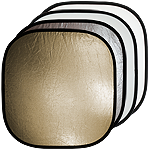 A maximum of 4 filters can be stacked on top of one another. 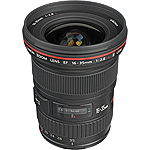 This system is very useful in landscape photography. 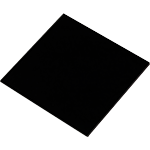 This 100mm x 150mm set contains 3 graduated resin filters that enable the photographer to adjust exposure over part of the photograph without effecting color balance, e.g. horizon line of the ocean. This enables cloud detail to be kept correctly exposed and avoids the “white out” effect caused by exposing for the foreground. Exposure can be controlled by 1, 2 or 3 stops. Same as above, but with soft gradation, suitable for scenes with a slow transition from dark to light, like a forest canopy. The Big Stopper is a 10-stop ND filter. By greatly extending exposure times the Big Stopper has the effect of allowing anything that is moving in the image to become blurred or ghost like, for example clouds, waterfalls, rivers, and the sea.  The filter can also be used on cityscapes to blur people or on roads and motorways to blur traffic. 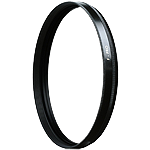 This is the best F-Pro Mount Polarizer that B+W has to offer. MRC by B+W is not only an extraordinarily effective multiple layer coating, it is also harder than glass, so that it protects filters from scratches (for instance when cleaning the filters), and it is also water and dirt repellent, thus facilitating filter maintenance. This UV Filter blocks the invisible Ultra Violet component of light from the sky, which can cause blur and to which many color films react with a blue cast. MRC by B+W is not only an extraordinarily effective multiple layer coating, it is also harder than glass, so that it protects filters from scratches (for instance when cleaning the filters), and it is also water and dirt repellent, thus facilitating filter maintenance. 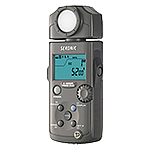 The Sekonic L-758Cine DigitalMaster is the ultimate light-measuring tool for cinematographers, videographers as well as digital still shooters. 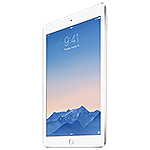 It features a 1° parallax-free spot viewfinder and a built-in retractable incident Lumisphere. 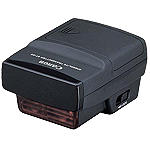 The ProDigi Color C-500R gives photographers the world’s only photographic color meter designed to read spectral sensitivity of both color film and CCD and CMOS sensors used in today’s digital still and DV cine cameras. 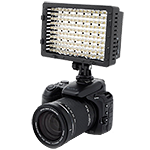 This “R” model adds wireless triggering for the flashes and cameras that are compatible with PocketWizard wireless system. 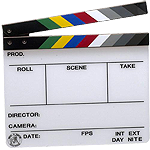 A professional scene-marking production slate with inlaid color clapping sticks to help with color-correction in post-production. 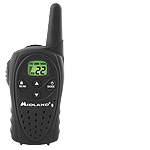 It has a 12-mile range on flat terrain, 22-channel FRS/GMRS, channel scan, Vox operation and accessory jacks for headset. 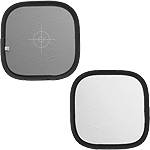 Illuminator Reflectors are ideal for shooting portraits and nature, whether indoors or outdoors. Includes Sunlight/Silver Panel and White Diffusive/Reflective Panel. This handy double sided ‘pop up’ 18% grey/white card simplifies the complex technical issues surrounding exposure and colour correction when working in different lighting conditions. 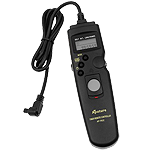 This remote shutter switch has a self-timer, interval timer, long exposure timer and exposure-count setting feature. It’s a great Intervalometer for Time Lapse. 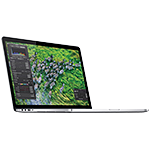 This is the main computer that I use for post-processing work. I use it together with a bunch of external hard drives in Firewire-800 mode. This one goes the road with me for on-the-set work. It is a powerful computer in its own right. Running some of the best film-ralated applications while I’m on the film set. With a cellular connection, I’m always online, no matter where I go.